Thank you for visiting the Cornish Sharks website. 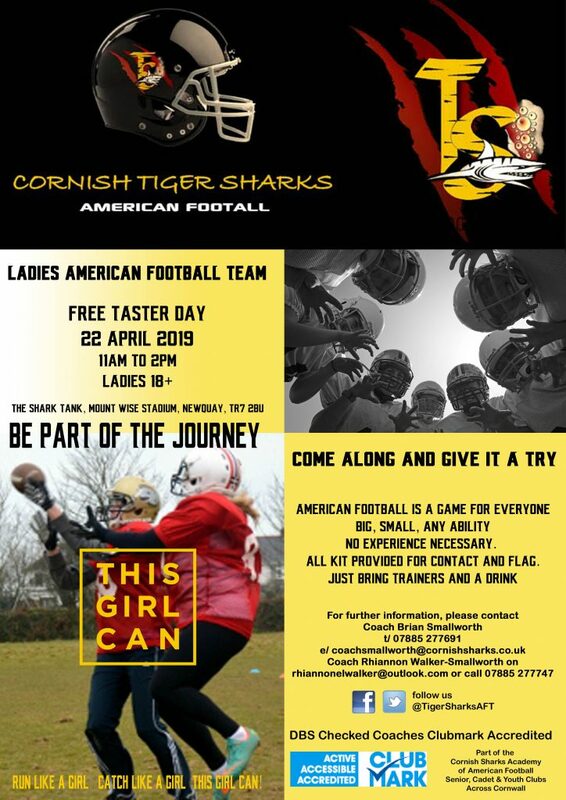 Please explore our site and meet the teams and the community that makes up the Cornish Sharks’ family. Training for the 2019 season is well underway, but it is never too late if you fancy giving it a go. Visit our join us page and come along to a training session – you might like it! You can find the dates of all our games here – put them in your diary so you never miss one and can come along support the team. We love to see new faces. Have you always wanted to give it a try but not sure what to expect? The Sharks are recruiting now! Whether you’ve played any sport before: from rugby, soccer or cricket to basketball, athletics or rowing or you’ve never played a sport before, it doesn’t matter. 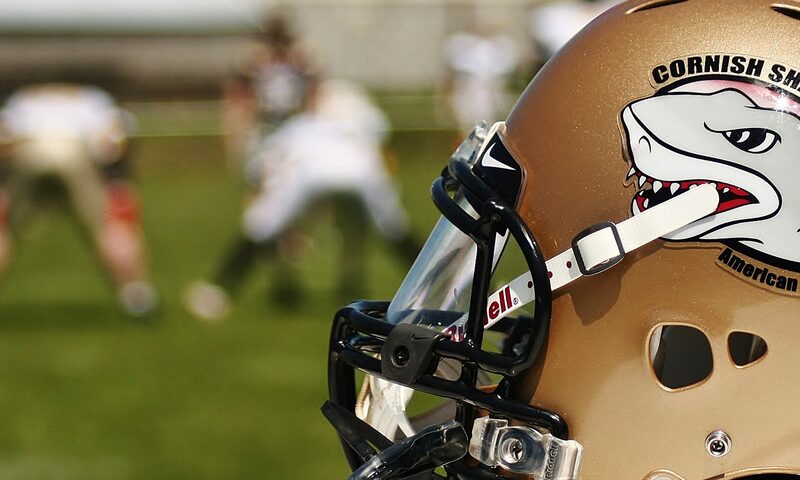 If you’ve got experience, your skills will transfer to American Football with just a little training. If you have none, our team of experienced Coaches will coach you. If you’re worried you’re not fit enough, or you haven’t played competitive sport before, don’t let that stop you….. there is a place for everyone on an American Football team. Men and women, large or small you’ll find your spot on our team. Come and give it a try. Visit the schedule page for the dates of our games. We look forward to welcoming you to the our second game on 28 April against South Wales Warriors. Anyone interested in playing however, can still come along as we accept rookies or experienced players, anytime throughout the season. We train in Redruth but play our games in Newquay. We are always on the lookout for other talent – sideline assistants, general helpers or anyone who has anything that might contribute some skills to the running of the club. Get in touch or pop along to one of the sessions. Interested in becoming a sponsor or to advertise?